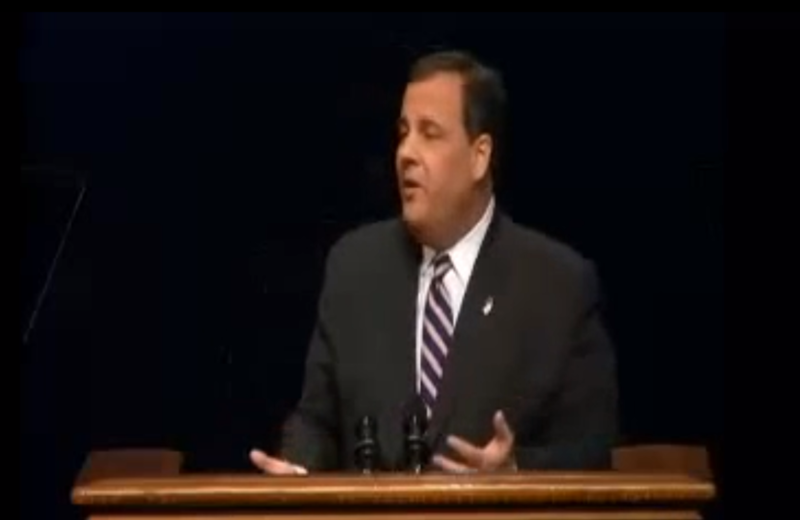 On Mass Incarceration, Does Chris Christie Agree With Mumia Abu-Jamal? One of the country’s most visible conservative politicians has provided an opening to talk about one of the most pressing social justice issues of our time. Let’s play a game: is the following quote attributable to (A) Mumia Abu-Jamal, former Black Panther and now political prisoner currently serving life without parole at State Correctional Institution–Mahanoy, or (B) sitting New Jersey Governor Chris Christie, Republican with a nasty reputation who is embroiled in a potentially career ending scandal? We will end the failed war on drugs that believes that incarceration is the cure of every ill caused by drug abuse. We will make drug treatment available to as many of our non-violent offenders as we can and we will partner with our citizens to create a society that understands this simple truth: every life has value and no life is disposable. Now, it’s true, as Radley Balko points out in The Washington Post, “Christie is facing a major, career-threatening scandal right now. It’s entirely possible that this is an attempt at deflection.” That can’t be ignored. It also can’t be ignored that one of the country’s most visible politicians has provided an opening to talk about one of the most pressing social justice issues of our time. Social structures—courts, police, prisons, etc.—have within them a deep bias about what constitutes crime and what does not. Any social structure is a product of its previous historical, economic and social iterations, and these previous forms bear significant influence on later forms. The present system, in addition to being increasingly repressive, is the logical inheritance of its racist, hierarchical, exploitative past, and it is also a reactive formation to attempts to transform, democratize, and socialize it. It’s certainly a more radical take than Christie would ever venture, but it’s also an examination of this country’s history of oppression that is necessary to take into account when discussing prison/mass incarceration. Our current carceral state is not an accident. It is necessary for the maintenance of a white supremacist/capitalist United States. It is an extension of the philosophies that have made this country what it is. Make human needs more primary than property rights. Realistically, prison abolition/communal courts/education as a constitutional right are not on the table as of this moment. There is too deep of an investment, by people of all political stripes, in the idea of prison, punishment and retributive justice to have a real discussion about abolition. And in an anti-intellectual environment that values the ability to make money, it’s difficult to convince people that education is necessary, let alone that it should be a constitutionally guaranteed right. But there has been promising movement made toward abolishing the death penalty. In her introduction to The Feminist Wire series, Tanisha C. Ford wrote, “We abuse and cage those whose bodies we deem unlawful, unwanted, and undeserving of our protection and resources.” The word choice is different, but this isn’t too far off from what Christie said. If the Republicans are inching near the same page as the radicals, we may be closer to progress than we think.